Less than two years ago, Oculus raised 2.5 million dollars on Kickstarter. Yesterday, they were acquired by Facebook for $2 billion. To write the words “A Brief History Of Oculus” is a bit funny — because really, the company’s very existence has been brief. From the launch of their Kickstarter campaign to their massive acquisition, just 601 days had passed. The company has definitely generated its fair share of buzz in its short lifespan — and yet, many, many people are hearing about the team for the very first time this week. For those people, and for everyone who might’ve missed some details along the way, here’s their story so far. 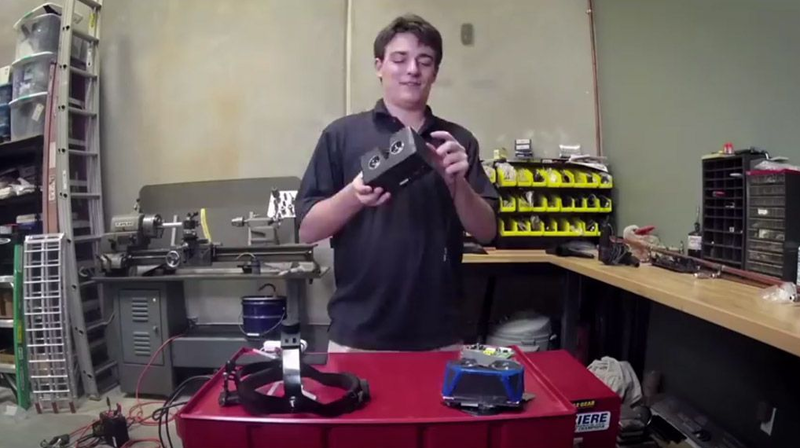 Around the age of 15, Palmer Luckey started to fall in love with the concept of virtual reality. By day, he attended classes at the local community college. By night, he was the founder and admin of ModRetro, a community dedicated to modifying vintage gaming consoles. Taking a N64 and making it portable; contorting an Xbox into a package half its original size — that sort of thing. If there’s anything that videogames have taught gamers to love, it’s collecting things — the rarer, the better. Palmer’s favorite thing to pick up? Early attempts at virtual reality headsets. Sourcing his collection everywhere from industry liquidation sales to government auctions and carting himself out to the seller to avoid paying for shipping, he’d get his hands on headsets that once cost nearly $100,000 for less than $100. By his own estimates, Palmer has the largest private collection of virtual reality headsets in the world. Around the age of 16, Palmer took on a new hobby: building headsets of his own. Unhappy with the performance of everything he’d obtained, he set out to build something better. Some of the prototypes were pieced together from his collection; others were modified versions of displays other enthusiasts had put together; others were built entirely from off-the-shelf pieces. Even then, though, it wasn’t entirely clear that there was a company in the making. He was attending classes at Cal State Long Beach, pursuing a journalism degree. Meanwhile, he worked as an engineer at USC’s Mixed Reality lab, experimenting with VR and head-mounted displays. You never know who you’re going to meet wandering around the Internet. In Palmer’s case, a random crossing of digital paths made a connection that would very quickly define the company, raising it from “some crazy smart dudes building VR goggles in a garage” to something that just about everyone in the industry was keeping an eye on. Lurking around yet another forum, Palmer found himself chatting with John Carmack — the John Carmack. As in, co-founder of id Software; the lead programmer of Doom, Wolfenstein 3D, and Quake. When it comes to gaming giants, most of’em sit comfortably within Carmack’s shadow. As luck had it, Carmack had been playing with the idea of whipping up some VR goggles of his own, modifying a headset he had on hand. Palmer mentioned the prototypes he’d built. That was, perhaps, the best decision Luckey could have made. A few months later, Carmack was at E3 demonstrating one of Luckey’s prototypes — a hulk of duct tape and whatever components were convenient — to anybody who would watch. Suddenly, this thing wasn’t just a passion project anymore. The Internet was suddenly on fire with talk of “Carmack’s new virtual reality project” — though Carmack wouldn’t officially join the company for over a year. Something was happening. Almost overnight, it had become shockingly clear: if there was a time for Palmer to do this, to really do this, it was now. Within weeks, just past halfway to his journalism degree, Palmer dropped out of college to start a company. In June of 2012, Palmer formed OculusVR. When Palmer first started thinking about Kickstarting a virtual reality headset — long before he met Carmack, long before he ever formed a company — he hoped he’d get 100 or so enthusiasts to back his project. “I won’t make a penny of profit off this project, the goal is to pay for the costs of parts, manufacturing, shipping, and credit card/Kickstarter fees with about $10 left over for a celebratory pizza and beer.” wrote Palmer in early 2012. Then came the endorsements from Carmack. Other industry titans, like Gabe Newell of Valve, threw their support behind the project. Thoughts of selling just 100 headsets went out the window. 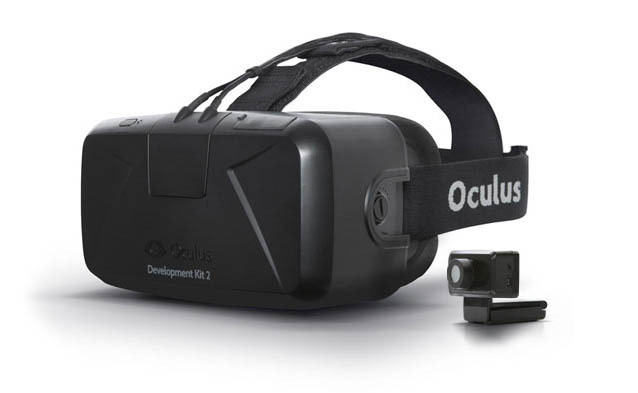 On August 1st of 2012, Oculus launched their Kickstarter campaign. For a company with such ambitious (if newfound) plans — to revive an entire genre, to succeed where so many had failed only a decade ago — they had a rather modest campaign goal: $250,000. That’s less than some of those 90’s VR headsets from Palmer’s collection cost when they flopped onto the market. Within 24 hours, they’d raised $670,000 from 2,750 people. Within three days, they’d broken a million dollars. Now, they weren’t using Kickstarter to pitch some incredibly polished, perfectly refined virtual reality headset that they’d somehow conjured out of thin air. This was something… else. Something rougher. It was much, much prettier than that old duct-tape-tastic E3 prototype, mind you — but, with relatively weak specs and a chunky design, it wasn’t something they meant to sit on store shelves. Instead, this first release was meant for developers and early adopters to get their feet wet with VR. To cleanse the palate of any bad taste left by the headsets of yesteryear. To get people building things in VR. This dev kit (or Oculus Rift DK1, as it came to be known) gave most people their first glimpse at Oculus’ potential, and it made one thing clear: this little $350 dollar headset was already better than everything that came before it. But it wasn’t perfect. This initial headset also lacked a feature that only really seems important once you notice it’s not there: positional tracking. While the headset’s sensors could keep tabs of how your head was angled (are you looking up? Down? Turned to the left? ), it had absolutely no idea where your head was from moment to moment. You could look down at an object — but if you tried to lean in for a closer view, your in-game character did nothing. Bam! Immersion shattered. Meanwhile, complaints of the headset causing motion sickness weren’t rare. That low-res screen, the early software, the lack of positional tracking — it all swirled together into something that managed to make some people’s inner-ears flip out and their stomaches turn. Despite the flaws, Oculus managed to sell every last one of these headsets that they could make. They’d sourced enough components to make around 65,000 units of this first iteration — on February 21st of 2014, they officially sold out. On the morning of March 19th (just one week before the Facebook acquisition) Oculus began accepting pre-orders for their second hardware release. 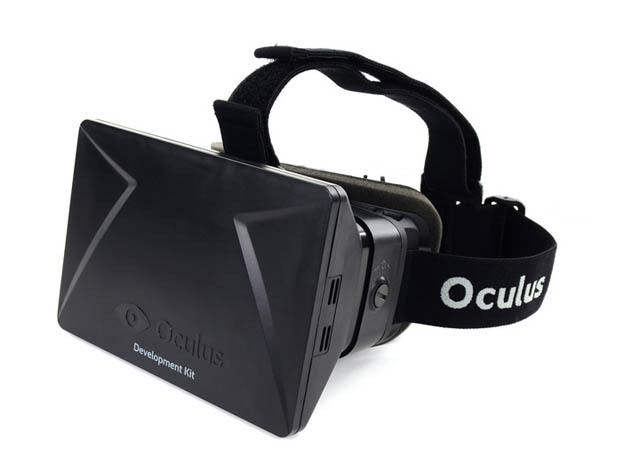 It still isn’t the exact product that Oculus intends to ship to consumers, but it’s close. Based on a prototype that Oculus had started showing a few months prior, Developer Kit 2 (or DK2) fixed or improved upon many of the original headset’s flaws. That old low-res display? They bumped it up considerably, from 640×800 in each eye to 960×1080 — increasing the overall pixel count by over 100%. That “screen door” effect isn’t completely gone, but it’s much, much less noticeable. They began inserting entirely black frames (shown so quickly that they’re essentially invisible to the human eye) in between other frames to fool your brain into seeing a smoothly moving image. Most significantly, they introduced an entirely new piece of hardware to the mix: an external camera. By using this camera to track an array of cleverly hidden infrared LEDs built into the DK2 headset, they were now able to detect not just how your head was angled, but where it was. Things like leaning in and out to read text, or to peek around a corner, or over a ledge, were suddenly possible for developers to support. Barely one year passed between Oculus shipping their first developer kits (March 29th, 2013) and the start of pre-orders for version 2 (March 19th, 2014), but a ton happened in that time. At the end of March 2013, Oculus found support from two big video game development engines: Unity gave all Oculus developers free access to their pro-level engine for 4 months, and Epic Games began giving away a new, Oculus-enabled version of their Unreal engine to anyone with a dev kit. On June 1st, tragedy struck. One of their founding employees and lead engineer, Andrew Reisse, was killed in a hit-and-run. On June 17th, Oculus raised their first, big, traditional VC (as opposed to Kickstarter) round of funding. They’d raised $16M from Spark Capital and Matrix Partners. On November 22nd, John Carmack officially left his position at id (the company he co-founded) to join Oculus as their Chief Technology Officer. Just six months after their first round, Oculus raised again in December of 2013 — this time, it was $75M from Andreessen Horowitz, Spark Capital, Matrix Partners, and Formation 8. Before the acquisition, Oculus had two big checkboxes left on their to-do list: to ship all of those pre-orders they got for the second development kit, and, eventually, to finalize and ship the consumer product. With yesterday’s news that Facebook has bought them, however, they’ve given themselves a huge new challenge: to keep people on their side. 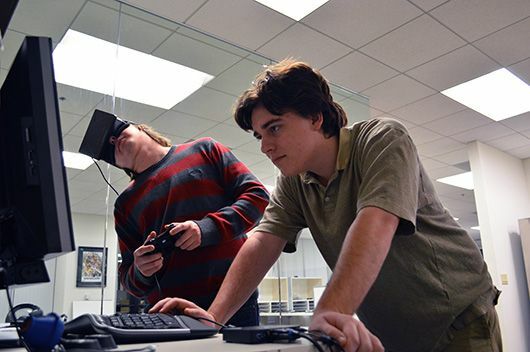 One of Oculus’ biggest strengths has always been in the way that people perceived it. You just wanted to root for them — and how could you not? It’s the tech world’s favorite tale: a brilliant whiz-kid turns his garage project into a company, makes millions. Add in the fact that the company launched on Kickstarter, and Oculus had seemingly locked in its cred as something “homegrown”. Something “indie” — even when they went on to raise nearly $100M from traditional venture capitalists. So of course, them being acquired by Facebook was met with backlash from some of their biggest fans. To them, Oculus was like their favorite band — and this was them “selling out”. Within hours of the announcement, the top post on reddit was a drawing of reddit’s mascot laying flowers on Oculus’ grave. Many pledged to cancel their DK2 orders, and instructed others on how to do the same. Notch, the creator of Minecraft, immediately (and quite publicly) killed the company’s plans to build an Oculus version. Their challenge now is to somehow convince the world of this. The best thing Facebook could do here? Keep their hands off of it for a (long) while. Throw money at it, but keep their branding and influence at bay (No one, and I mean no one, wants a Facebook-branded VR headset.) Let them ship the hardware they’ve promised, and to make what they ship better than anything they’ve promised so far. If this is a long term play, Facebook’s short term strategy should be to stay the hell away.